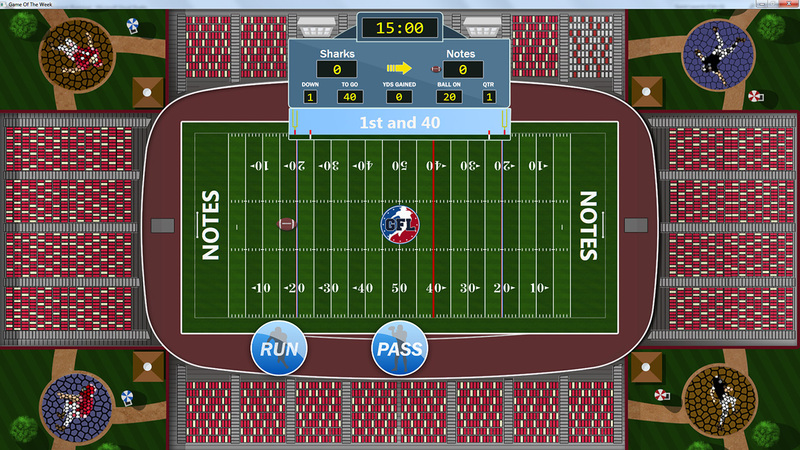 Gridiron Solitaire combines the easy-to-grasp gameplay of Solitaire with a charmingly detailed simulation of Football for a title that can be enjoyed by all ages. Match sequentially numbered cards of alternating colors in ascending/descending order (e.g. match a red 11 with a black 12, or a black 2 with a red 1). Matches made during your turn (or “down”) complete the actions you’ve chosen. Matching a red 11 with a black 12 will make your team run, pass, defend and so on. The random luck that determines what cards are placed on the field is balanced by the opportunity to use a number of strategic options (on both defense and offense). On offense, you have to use your knowledge of the opposing team’s statistics to take advantage of their defensive weaknesses. 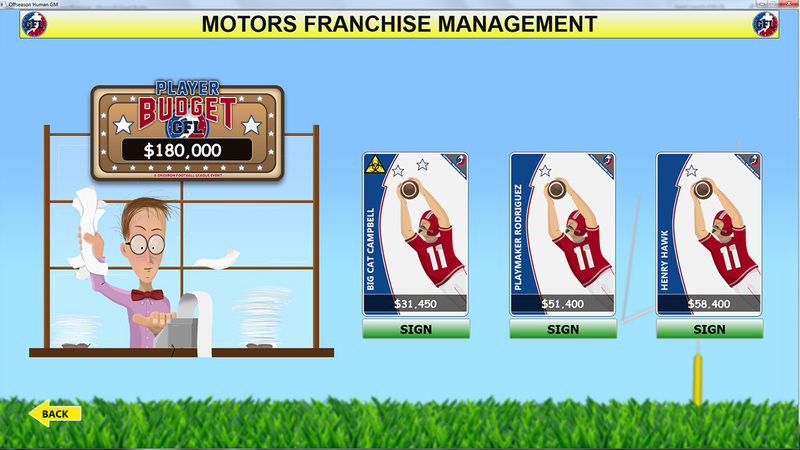 Pressing the Big Play button places extra cards on the field or triggers text events. Every turn or “down” that you are on offense, you are given the choice to run, pass or (in some cases) go for a field goal/punt. Pressing Big Play has a chance to either bring another card onto the field or trigger a text-event. This introduces an element of risk, as the text event could result in a sack or turnover. Will you take the gains you’ve achieved or keep trying for a possible match? On defense, you have to consider where your opponent’s offense is strong and choose to defend a run or pass. Anticipating the next play and rationing your use of a limited number of Big Plays hinders their ability to score. 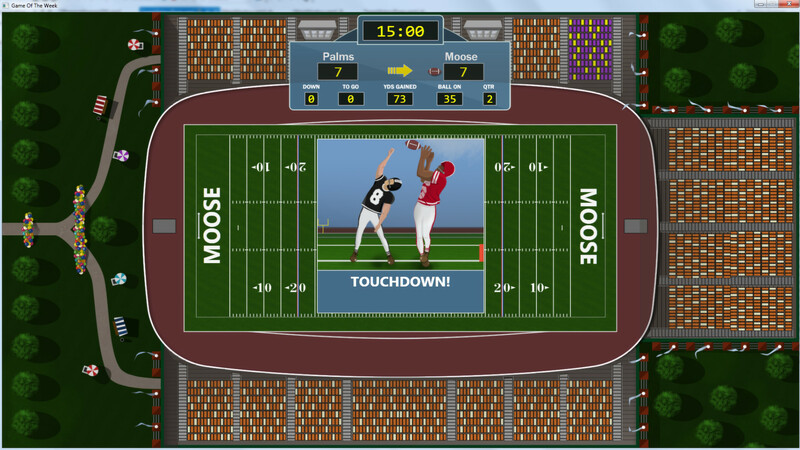 Anticipating the wrong play (or wasting your use of the Big Play button) leads to the opposing team running or passing farther than before. This NFL data makes a huge difference. On the lowest difficulty, I haven’t seen the AI make an irrational decision yet–something even the great Madden series struggles to achieve. 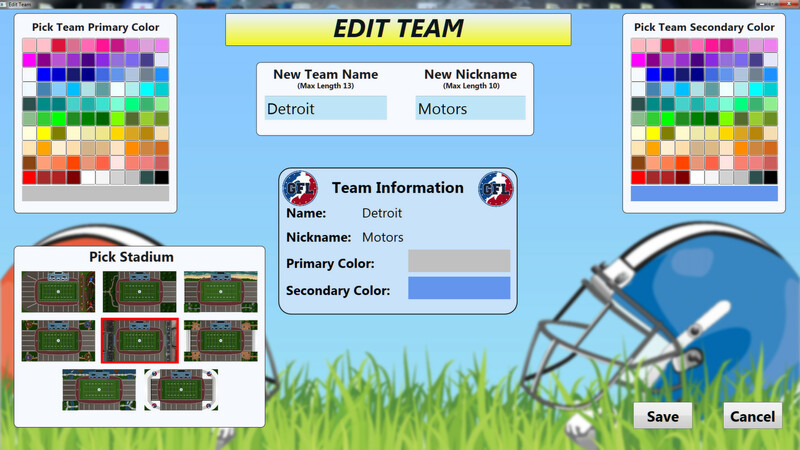 You can choose the name, colors and stadium of your team. This means you could theoretically recreate your favorite member of the NFL. 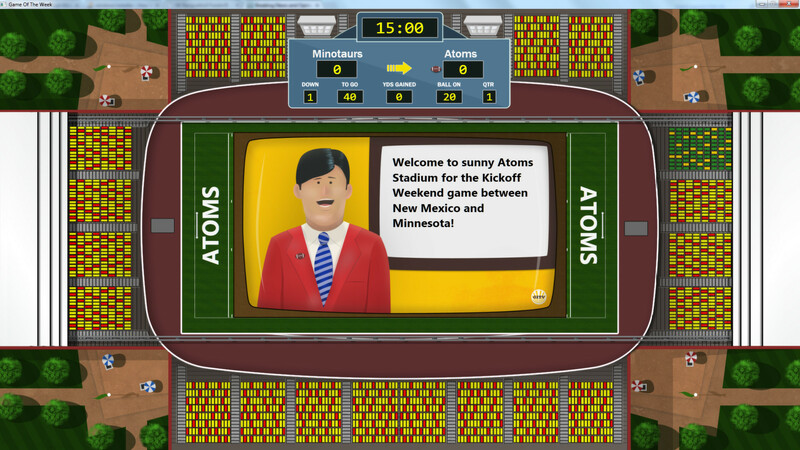 Despite the potential of being overly complex and swamped in jargon, Gridiron Solitaire requires surprisingly little knowledge of Football to understand the game. The included tutorial explains everything you need to know very quickly, which is great for those with little time or short attention spans. 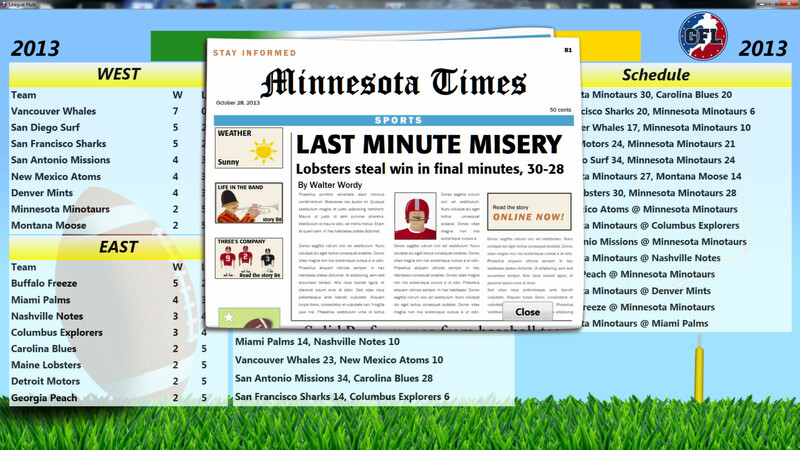 What I truly love about Gridiron Solitaire are the little, easily overlooked touches that contribute to making a great experience. In between seasons, you get to manage how money is spent for new players. The areas of the team you bolster will improve, while those you ignore will deteriorate over time. The game has also seen a number of updates since its release last year. As I write this, the developer is planning an extensive overhaul of the UI and artwork–even these screenshots come from a previous version of the game. Gridiron Solitaire somehow combines easygoing solitaire and high-stakes football to create an addictive gaming experience. The developer continues to support the game with patches/updates (including an upcoming planned expansion to overhaul the visuals). I heartily recommend this title-even for those who have had limited experience with Football. This entry was posted in Uncategorized and tagged barebones, Bible, christian, christian gaming, christian review, christianity, family-friendly, football, gaming, God, Gridiron Solitaire, indie, Jesus, KJV, league, PC, replayability, review, simulation, Solitaire, Steam, twist, unique, video game, video games, video games and the Bible, Video Games and the Bible Highlights, Video Games and the Bible Reviews, videogame, videogames. Bookmark the permalink.